Yourtown Lotteries (formerly Boystown) offers the opportunity to win Magnificient New Homes in either Melbourne, Sydney or on Queensland's Gold Coast or Sunshine Coast. The Major Prize value is always in excess of $1 million and for just an additional $10 a ticket, supporters also have an extra chance to win luxury cars such as an Audi, BMW or Mercedes-Benz. Yourtown operates 16 Art Unions a year with 10 Prize Homes and 6 Prestige Cars on offer. Entry is very affordable at just $15.00 a ticket so Purchase yours today! The Surf Life Saving Association raises vital funds each year through its Prize Home Lottery. 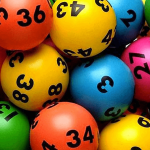 It conducts 12 Lotteries each year including 6 x Champions' Club lotteries and 6 x Prize Home Lotteries with ticket sales starting from just $2 each. Lottery ticket holders have the chance to win Magnificent New Homes, Gold Bullion, Luxury Cars and many other Prizes. Buying tickets here will continue to support our brave Australian Lifesavers! The RSL operates the biggest home art union lottery in the country, and with up to $20 million of value on offer each year, ticket buyers have the chance to win magnificent prizes ranging from Luxurious Beachfront Homes, to three apartment property portfolios to an entire Apartment Complex! Tickets start from as little as $5,00, so support one of the most popular charities in Australia by Purchasing your tickets today! 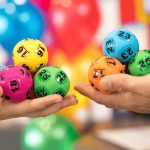 Endeavour Foundation has been operating and raising vital funds through it's Prize Home Lottery for over four decades and when you Purchase a ticket in one of their lotteries you are supporting thousands of Australians with a disability right across the country. 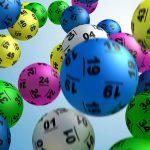 Endeavour runs a number of Lotteries every year with other fantastic Prizes also including Overseas Holidays, Travel Vouchers, Fuel Cards and much more. Ticket prices start at just $10.00 and are available below. The Mater Prize Home Lottery offers ticket buyers every year the chance to Win a Luxurious Brand New Home along with other exciting prizes! These fantastic Prize Homes are generally always located in wonderful locations across the Gold Coast and Sunshine Coast. All prize homes come complete with elegant furniture and state of the art appliances. Buy your tickets in this amazing Prize Home Lottery today for as little as $2.00 each and help protect the future of our children's health. Mulitple Sclerosis or MS raises much needed funds every year through ticket proceeds from its Mega Home Lottery. The Lottery is contributing approx $1.25 million to ongoing research this year alone, to help find both a cause and cure for MS. Aside from the magnificent Grand Prize of an Opulent $million Home, the Mega Lottery also includes additional prizes such as Luxury Cars, Extravagant Holidays, Adventure Packages, State of the Art Appliances & more. Buy tickets online right here. Hospital Home Lottery is an imperative contributor every year to the support of Patient Care in hospitals across South Australia. Through the proceeds of ticket sales in their very popular Home Lottery, ticket holders have their chance to win the magnificent Grand Prize of a $Multimillion Home, in addition to other prizes such as European Cars, Holidays, Motorcycles, TV's, Gift Cards, BBQ's and even $100,000 in CASH and more. Purchase your tickets today. Royal Melbourne Hospital or RMH raises substantial funds for the hospital each year through its RMH Home Lottery. Vital services & equipment are constantly upgraded through the proceeds of Lottery tickets sales. In the Home Lottery this year, along with a $2million+ Prize Home, other great prizes include a Luxurious Aston Martin OR $250,000 in Gold Bullion (for the Early Bird ticket buyers), plus other Prestige Cars, Motorcycles, Holidays, Computers, Gift Cards, TV's & more. Buy Next Draw tickets here!